Your mobile guide for everything Port Arthur, TX! Whether you are a visitor or a resident, Go Port Arthur Texas is your Official Guide to Port Arthur, TX, a vibrant community along the Texas Intracoastal Waterway. 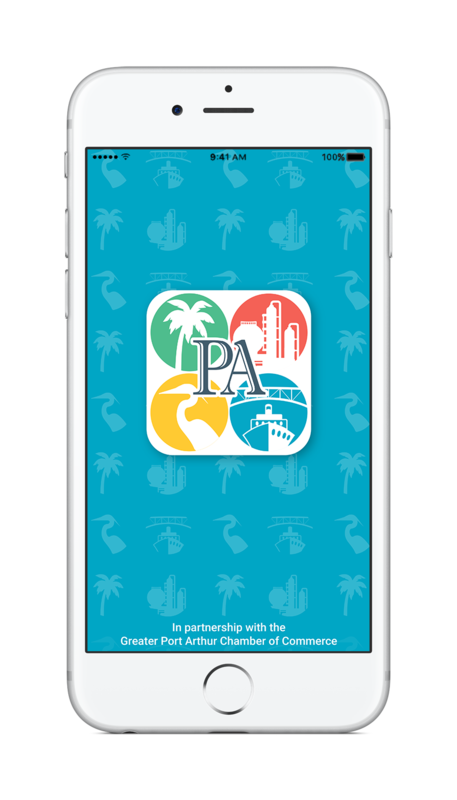 This app is your portal to discovering where to eat, shop, stay, and play in Port Arthur. Explore all of the area attractions, museums, parks, events and historic sites that make Port Arthur unique. Discover things to do on your visit to Lake Sabine and Pleasure Island. Plan a visit to Ford Park, the premiere sports, entertainment, and convention destination of Southeast Texas! Find information and an events calendar for the arena, exhibit hall, fields, midway and pavilion. Learn about Lamar State College-Port Arthur and what it has to offer students. Find resources to assist your move to the Port Arthur community in the Relocation Guide. Gain access to exclusive content and features from the Greater Port Arthur Chamber of Commerce which is dedicated to positively impacting Port Arthur’s growth and quality of life for the entire community. Find events in the app’s community calendar and support Port Arthur’s thriving business community with listings to help you shop local. Whether it’s for a weekend or a lifetime, download Go Port Arthur Texas to make the most of your time and experience everything Port Arthur, TX has to offer. Interested in advertising or sponsoring the app? Learn more. Featured on the app already? Download promotional materials here.